The Everglades National Park is made up of several kinds of wetland habitats. Everglade habitats include sawgrass marshes, cypress swamps, and mangrove forests. 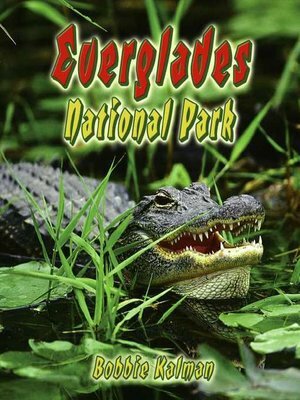 This fascinating book will introduce children to the plants and animals that make the Everglades their home—including the most famous resident, the alligator! Topics include: kinds of wetlands, weather, how plants make food, how animals find food and water, where animals live, a food chain, and dangerous floods and fires.